I have been looking for this article for some time (I remember having read it a while back) and I finally found it. I am reposting it here for future reference. Enjoy! WACO — Eighty-five miles down the Brazos River from here, in a college town where many hate Texas or Texas Tech with every ounce of their being, Baylor University suddenly is relevant again. The Bears’ 35-34 overtime victory over Texas A&amp;M at Floyd Casey Stadium last season, in which a team that hadn’t defeated the Aggies in 18 years jumped from speed bump to mountain, has Aggies’ emotions normally reserved for Longhorns or Red Raiders boiling over. They are angry with Baylor in College Station, but not as angry as they were in 1926. Not as angry as when one of their own was beaten to death in full view of the crowd at halftime of a game against the Bears. Not angry enough to commandeer a howitzer to shell the Baylor campus. Not angry enough to sever all athletic competition between the Southwest Conference schools for four years. What happened the afternoon of Oct. 30, 1926, at The Cotton Palace in Waco is an event disputed in fact and wrapped in legend. This much is certain: Lt. Charles Milo Sessums of Dallas, a senior in the Corps of Cadets, died at 9 a.m. Halloween morning at Providence Sanitarium in Waco. The cause of death was listed as a blood clot stemming from a fracture at the base of his skull, the result of being severely beaten at halftime of Baylor’s 20-9 victory over A&M the previous afternoon. The predominant Baylor version is that a Ford — described as a “stunt” car and flatbed truck in different accounts — was paraded at halftime. Six women, carrying signs with the scores of big Baylor victories over SWC rivals, passed in front of the A&amp;M cheering section. Aggies accounts contend that the cadets thought the women were men in drag, and that the appearance of the car violated an agreement between spirit groups that a “bucking” Ford, which was used in a stunt at the 1924 game and nearly ran over some Aggies players, not be used. Baylor’s yell leader, Frank Wood, denied such an agreement existed. Three cadets rushed the car to seize control of it, knocking Louise Normand off the back. “Then almost the entire Baylor student body and most of the Aggie contingent stormed simultaneously onto the field and all Hades broke loose,” recalled former San Antonian A.T. Moses, then a Baylor freshman, to The Baylor Line alumni magazine in 1985. “Precisely what happened next, I could not tell, nor could anyone else, for in a moment, there was a swarming crowd of hundreds in a melee,” Esther Didsun of Houston told the Express-News in an eyewitness account published Nov. 2, 1926. M.M. “Barney” Hale led a wave of Baylor freshmen players, sitting nearby, toward the vehicle. A&M’s senior statement said the assault was the result of a misunderstanding. “We apologize to the ladies of Baylor for this incident, because one of our traditions is that no A. and M. man has ever willingly or knowingly harmed a woman,” it read. Thirty yards behind the melee, someone struck Sessums’ fatal blow. The Aggies seniors’ statement contended that 1,500 Baylor supporters were armed with clubs, stick and iron rods. Another account suggested that the attack was premeditated because Baylor had two trunks filled with sawed-off two-by-fours. Hale denied those charges, saying only football equipment was in the trunks. The likely weapon, the Bears said, was part of the fence or a broken chair. The cadets sprang to attention — some later claimed Baylor supporters continued to beat them as they stood — and the riot was quelled. Other accounts, though, suggest some cadets weren’t so conciliatory. Legend has it that some commandeered a howitzer, loaded it on a flatbed rail car and were headed to Waco to shell the Baylor campus when Texas Rangers felled trees across the tracks to stop them. There is no known substantiation for any part of that story. Fixing blame proved impossible. A.B. Sessums, the dead cadet’s father, demanded an investigation, and Baylor president S.P. Brooks and A&amp;M president T.O. Walton met in College Station on Nov. 4. After 10 hours of consideration, they issued a three-page statement that tried to explain what happened and expressed the regrets of both schools. The statement set off a rebellion at Baylor. Within hours The Lariat published an extra edition decrying the statement and immediately circulated a petition calling for the ending of athletic relations between the schools. By the end of the day the petition had 500 signatures. A&M’s seniors, concerned their school was being assigned the blame, said in a statement they were “indifferent” as to whether the series should continue. They would not play again until 1931, a game A&M won 33-7 in College Station. Waco and McLennan County police investigated the incident. A.B. Sessums asked Lancaster attorney Byrd White to look into his son’s death, telling him he “had a man placed” as his son’s assailant. Brooks, in a letter to White, explained a local detective had full run of the campus to investigate. Available records show no one was charged in Sessums’ death. The next day Sessums was buried in Dallas. Time leaves little but names. Sessums’ death quickly faded from the headlines in Waco, replaced by another, more personal tragedy for Baylor. On Jan.22, 1927, a bus carrying the Bears’ basketball team on a misty Saturday afternoon skidded onto railroad tracks in Round Rock. A northbound passenger train, the “Sunshine Special,” rammed into the rear of the bus, telescoping it and killing 10 players. The Corps of Cadets did not attend a game in force in Waco again until 1995. Then, on an overcast Oct. 22 morning, hours before the Aggies took on the Bears, they marched. Thirty companies strong paraded down Franklin Avenue and then turned left onto 32nd Street, ending at the Baylor track stadium. When they were done, all was quiet. An interesting footnote in the history of Texas A&M football is that Texas A&M is 4-0 against legendary coach John Heisman. Heisman coached at several different schools throughout his career including stops at Auburn, Clemson, and Georgia Tech. However, Heisman’s last football coaching job was in Houston, Texas at what is known today as Rice University. Heisman became Rice’s first full-time football coach and coached at Rice for four seasons (1924, 1925, 1926, and 1927). His four-year record at Rice was 14-18-3 overall and 4-11-1 against the Southwest Conference (SWC). While Heisman did not have a lot of success at Rice, the only team that he faced at least four times and was unable to defeat during his tenure at Rice was Texas A&M. However, to be fair, A&M’s football squads were pretty good during this four-year span and won the SWC Championship in 1925 and 1927 (Heisman’s second and fourth seasons at Rice). A&M was also led by coach Dana X. Bible. 1927: Aggies defeated Rice 14-0 on November 11th in Houston, Texas. A&M prevented Rice from scoring in three of the four games that featured Heisman as Rice’s head coach. In 1924, the one game where Heisman’s team was able to score any points against Texas A&M was one in which Rice entered the contest 2-0 in SWC play (only to finish 2-2). During his four seasons at Rice, Heisman’s Owls were not able to beat a single SWC Champion (1924-Baylor, 1925-Texas A&M, 1926-SMU, and 1927-Texas A&M). Besides Texas A&M, the only other teams that Rice played at least once during each of these four seasons (or at least four times) were Sam Houston State, Southwestern, Texas University, and Baylor. Of these four other teams, none of them were able to sweep John Heisman and his Rice Owls four consecutive times. 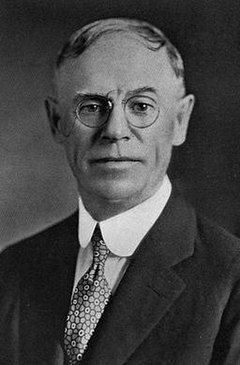 Heisman left Rice after the 1927 season and later became the director of the Downtown Athletic Club in New York, which named its annual college football award after him. * The date listed in the 2006 Rice Owl’s Football Media Guide for the 1924 game versus Texas A&M is Saturday, November 15th (see page 167); however, the official Texas A&M football website (12thMan.com) and the 1925 Long Horn yearbook (Texas A&M) lists the date of the game as having been played on November 14th (see page 214).